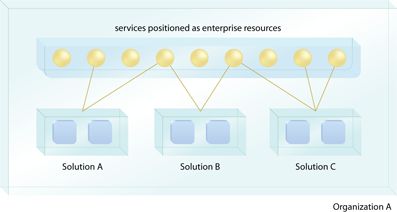 How can solution logic be made available as a resource of the enterprise? Solution logic designed for a single application environment is typically limited in its potential to interoperate with or be leveraged by other parts of an enterprise. Solution logic can be encapsulated by a service so that it is positioned as an enterprise resource capable of functioning beyond the boundary for which it is initially delivered. Solution logic suitable for service encapsulation needs to be identified. 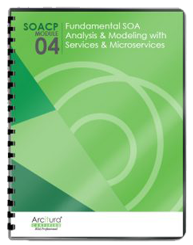 Service-encapsulated solution logic is subject to additional design and governance considerations. An enterprise wherein individual solutions use logic encapsulated as services and vice versa.